Leisure choices play a large part in defining who we are as individuals. They can enhance health and wellbeing, provide our lives with structure and give us something positive to look forward to. For people living with the effects of life limiting brain injury, leisure opportunities play a vital role in boosting quality of life. 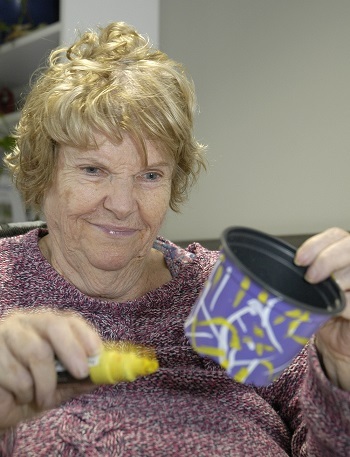 At the RHN we believe that everyone has the right to enjoy the best possible quality of life. This is why our Leisure and Family Services (LaFS) provides a wide range of activities, entertainment programmes and outings which support our patients and residents holistic needs. These activities help them regain confidence, communication skills and social relationships, whilst pursuing personal interests. 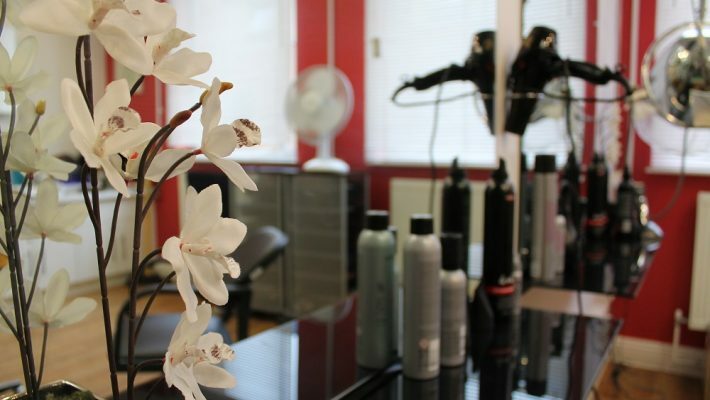 An important part of gaining self-confidence is the opportunity to look our best and that’s why the LaFS team established an onsite hair salon for all our patients and residents to make use of. 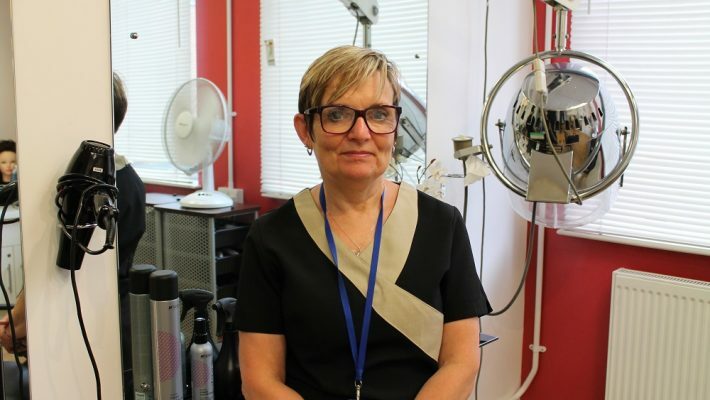 Debbie has been cutting hair at the RHN for 28 years, having started out as an assistant to the hospital’s previous hairdresser. One of Debbie’s regular visitors is Sally, a patient on Wolfson Ward, who enjoys a shampoo and set every week. Our hairdressing service is just one of a huge range of activities and services provided by the Leisure and Family Services Team. Everything they do is entirely funded through voluntary donations, from hairdressing, sporting activities, live music and film screenings. Every activity is designed to make life for our patients/residents as varied and fulfilling as possible. This year we need to raise £300,000 to fund this key service. Any donation you can make will ensure patients like Sally can continue to access a service which is so vital to their confidence and wellbeing. The Leisure and Family Services team provide a huge number of activities, services and therapies. A donation from you today means you’ll be helping even more patients and residents, improving their self-confidence and quality of life.